Tattoo on one guy's left forearm. 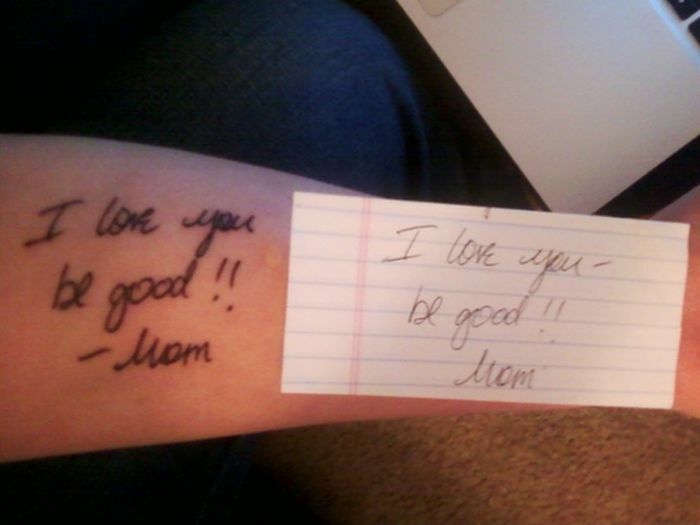 It’s a note his mother left him the night she died. Here’s a side-by-side shot of the two. Can't be the best tattoo ever when it wasn't duplicated correctly. What is the real story behind this? Not enough info.